Of all of the low-down, dirty ways in which democratic “resistance” figures have discovered to disparage Donald Trump, none seems quite as loathsome as their take on his relationship with his family. For a man whose life has been an open book for decades, you would think that the left would have something of substance to say about Donald Trump. Something truly terrible, or a video tape of him saying something somehow worse than the “locker room talk” that they attempted to smear him with years ago. But, no. Instead, they continue to insinuate that his marriage is a sham and that the President of The United States is sexually attracted to his daughter. Now, even primetime cartoons are getting in on the incestuous imbecility. “Pleased to meet you, Meg. You have a beautiful rack,” the President Trump character said. When Meg replies, “Thank you,” Trump responds, “I was talking about my daughter,” in front of the Ivanka Trump character. The anti-Trump episode is set to appear on Fox on January 14th. 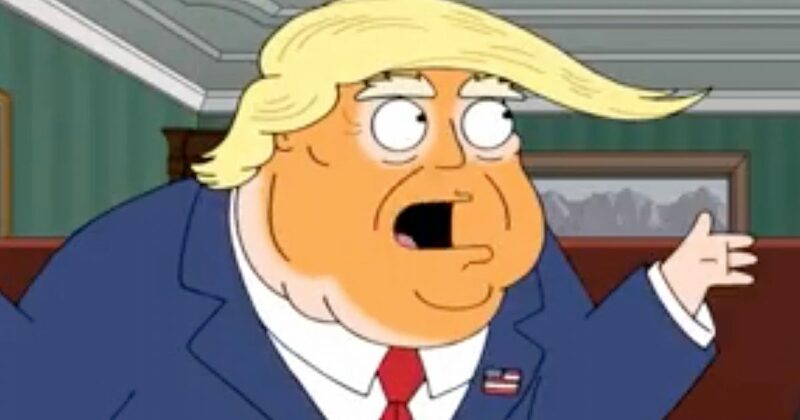 The premise of the upcoming episode is that Peter Griffin becomes President Trump’s next press secretary.